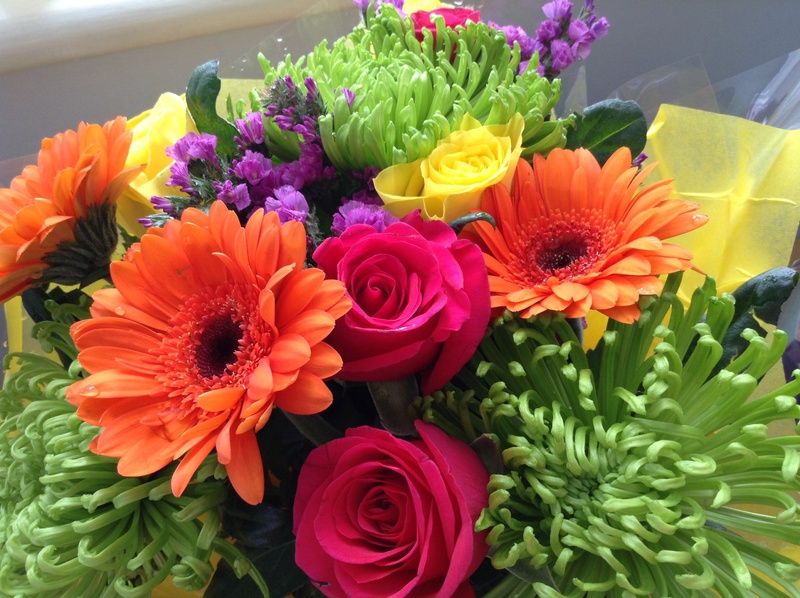 On the day of my first post in March 2015 what a lovely surprise to receive a beautiful bouquet of such vibrant colours. One week after returning home after a long stay in hospital, they were a heartfelt reminder of the kind thoughts of others and how precious they are. Going through a very unexpected and difficult time, it was the amazing love and support of family and friends that made such a difference to me. I have a long journey ahead to fight my illness but I am not intending this blog to focus on my diagnosis and treatment. Instead it is about doing something that helps me achieve some of my goals at a time when I am very restricted as to what I am able to do. It is about making the most of life, often by enjoying some of the simplest things. I believe in the value of memories and creativity. For me, journalling opened up the world of creative writing and poetry. I have long had an interest in photography and have discovered the therapeutic benefits of painting and colouring purely for fun. A life-long learner, I have had many interests. My bookshelves are filled with self-development and life coaching books, alongside many years of cookery books which include a precious Cordon Bleu cookery course set. More recently, it is the Social Sciences that have opened up a new world. I am not sure where this blog will lead but I hope you may wish to join me on my journey and make some new discoveries that will inspire you and enhance the quality of your life. Thanks so much for dropping by http://wdfyfe.net And thanks for the welcome to your blog. I’ve been prowling around and you have some interesting thoughts and cool photos Good luck with the journey. I’ll check in again.